Holiday season is in full swing! Which means fun gift ideas and holiday songs until you’re dizzy off of eggnog and happiness! Speaking of gift ideas, gift cards are great holiday present, but let’s face it, they’re also not the most creative option. 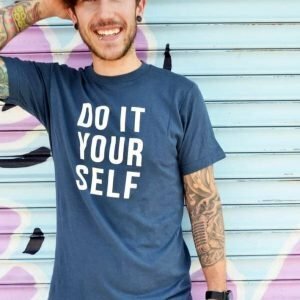 Coming from someone who loves giving creative gifts, this poses a huge problem for me. 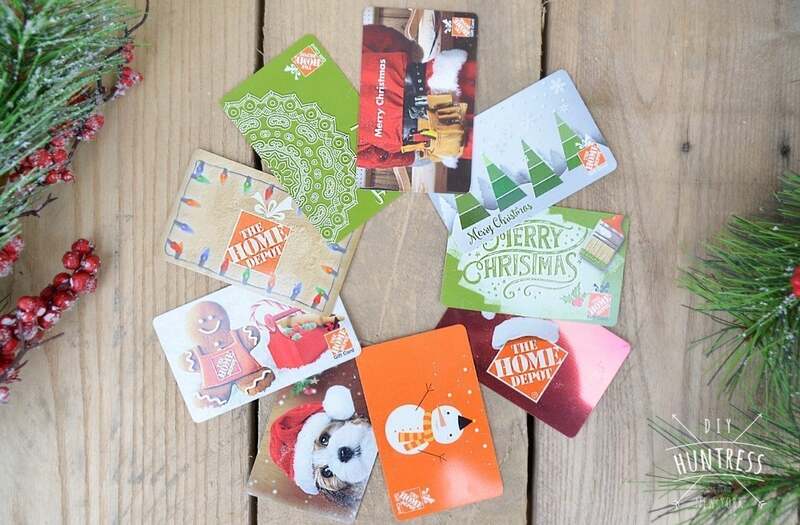 So, I was really excited when my good friends at The Home Depot asked me to come up with a creative way to give someone a gift card for the holidays. My version took about an hour to make and looks way better than a cardboard box or envelope (in my very unbiased opinion)! 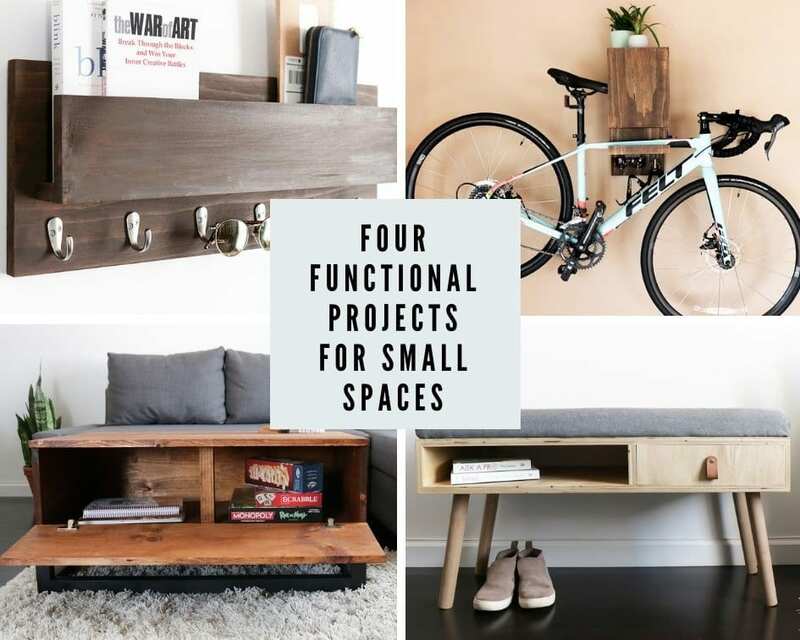 *This post is sponsored by The Home Depot & contains affiliate links. 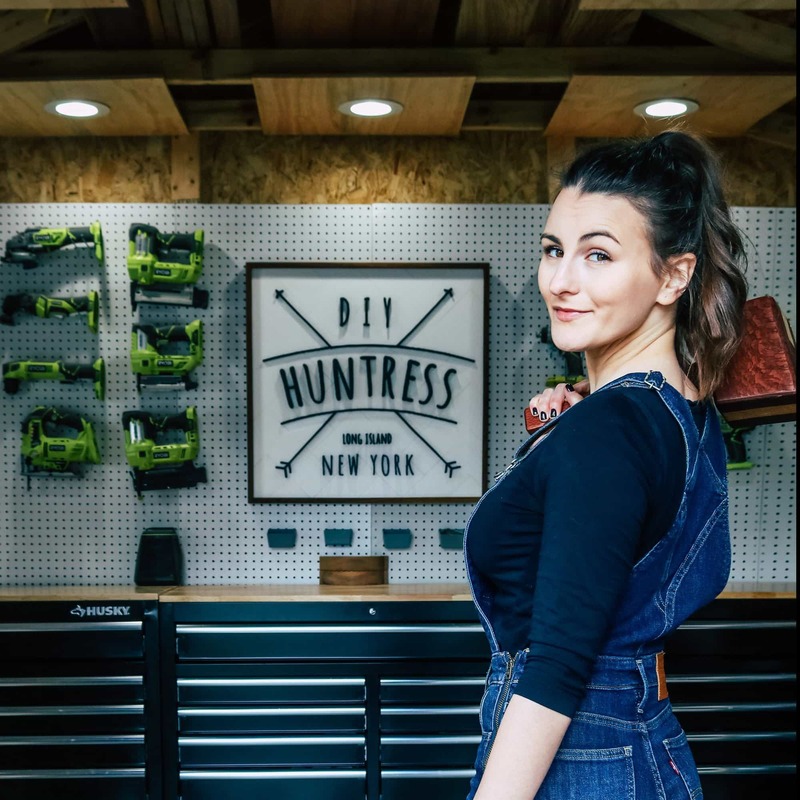 If you have family members who are like me, they love spending time wondering the aisles of Home Depot (they may also have a serious addiction to the lumber aisle and will never admit it). 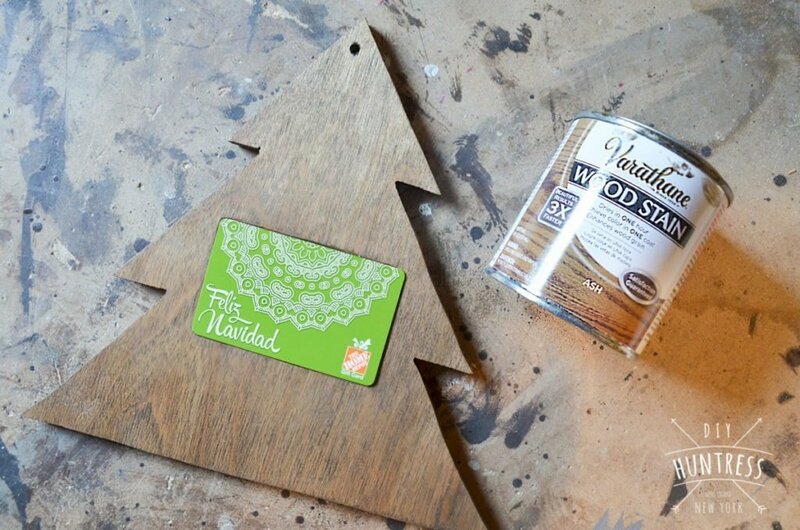 So, why not surprise them with two gifts, a Home Depot Gift Card and a handmade gift card holder? You guys are not going to believe how easy this was to make with the right tools! 1. 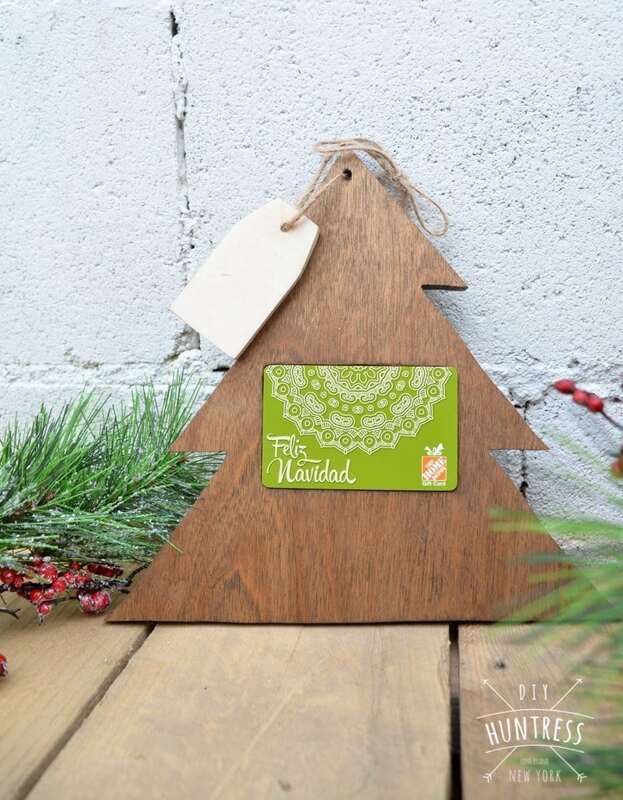 Print out a a stencil or photo of a christmas three that you would like to carve out. Mine was about 10″ tall. I found it on Google and resized it in Photoshop. 2. 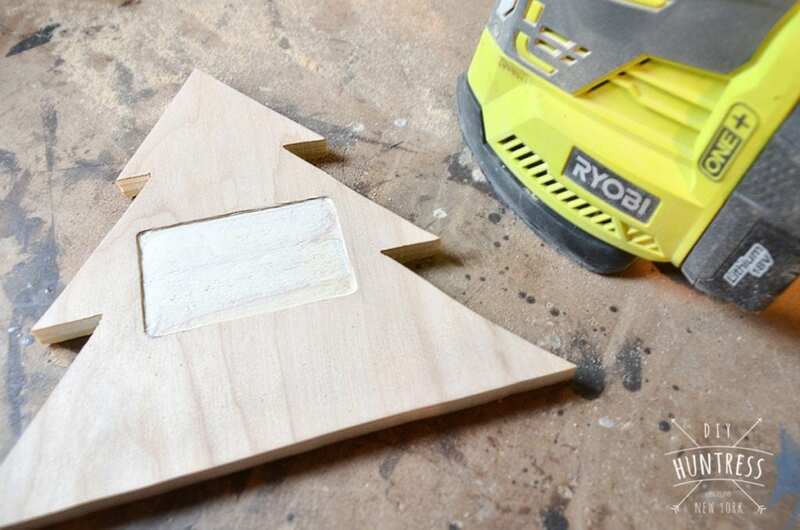 Once you have your stencil, cut it and tape it to your piece of wood. 3. 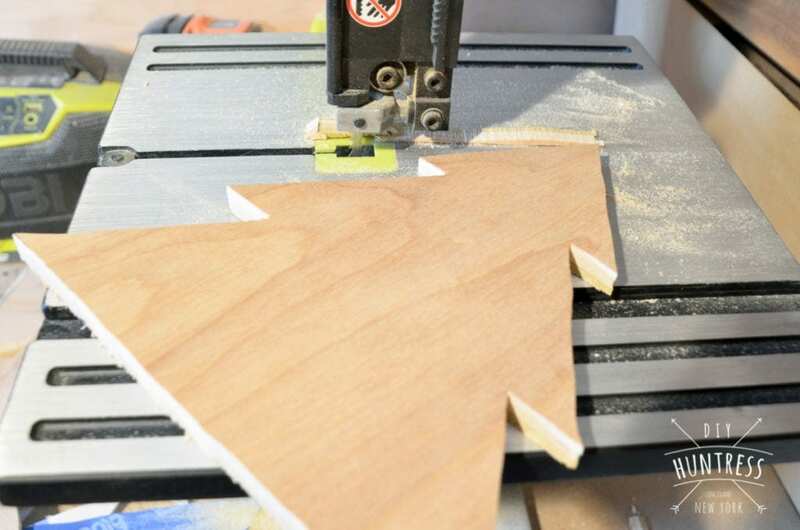 Use a band saw or jig saw to cut out the design. 4. 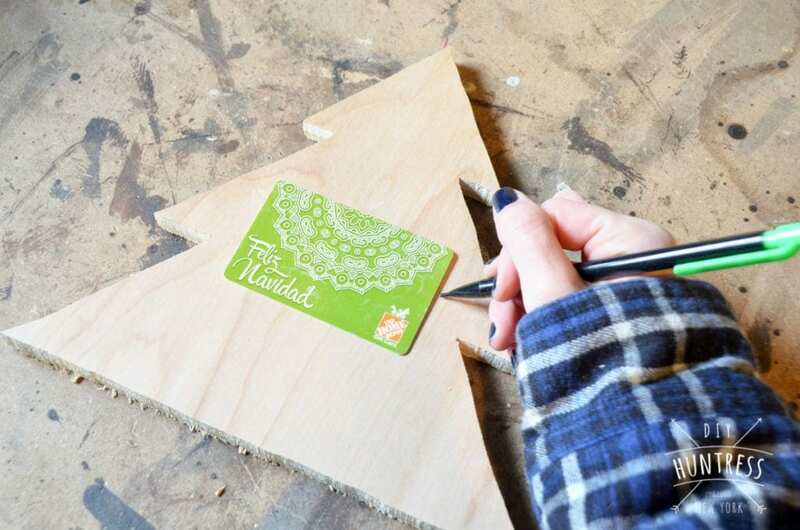 Place your gift card about halfway up the design and stencil it onto the board. 5. 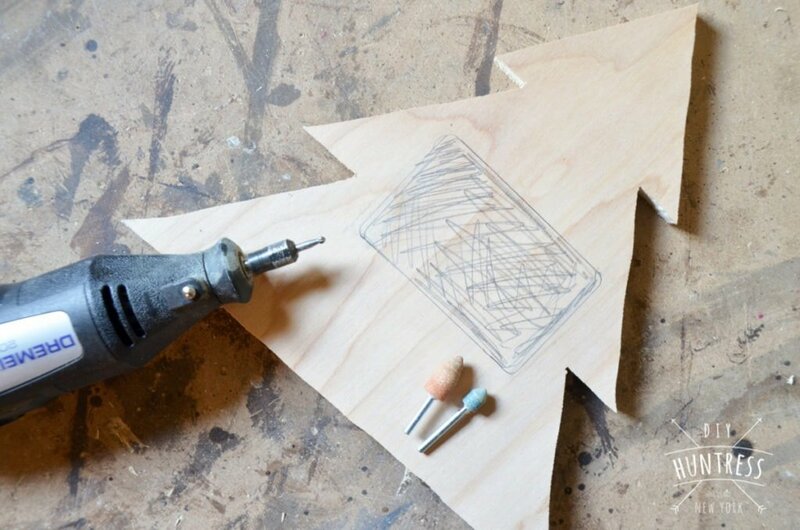 Use your Dremel and a carving attachment to carefully carve out the stenciled shape. 6. 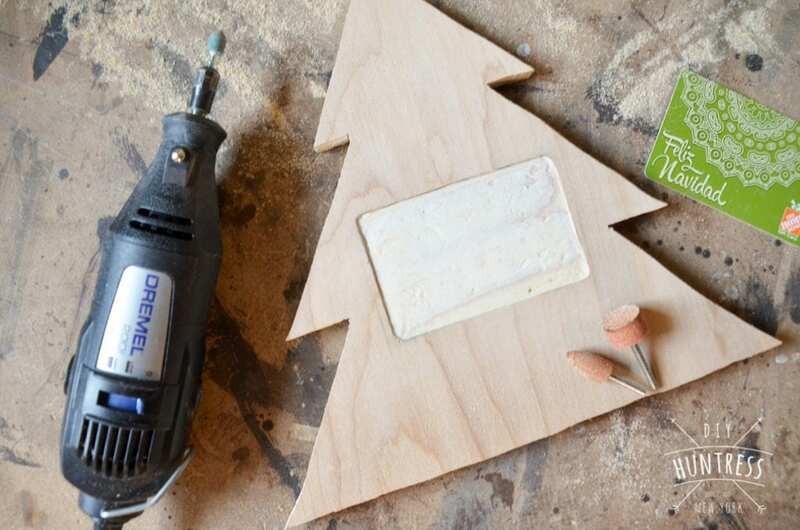 Finish the carving with a fine sanding attachment. 7. 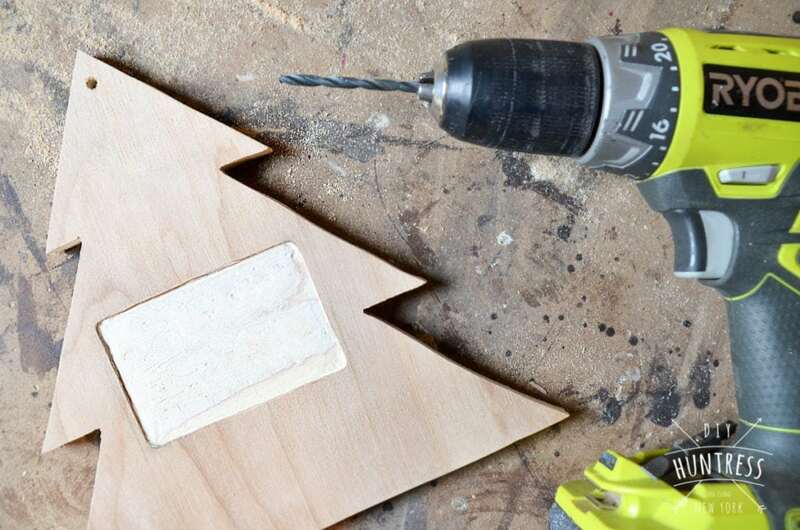 Drill a small hole in the top of the piece for your twine. 8. Sand the entire piece. 9. 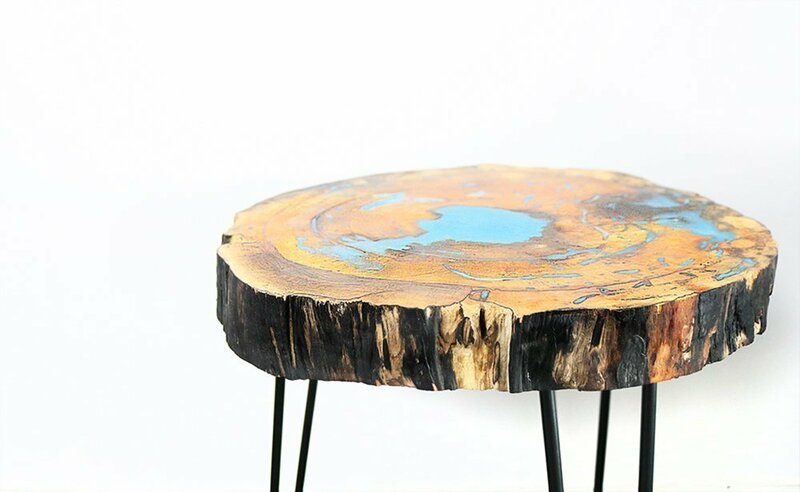 Stain your tree. I used Ash from Varathane. 10. 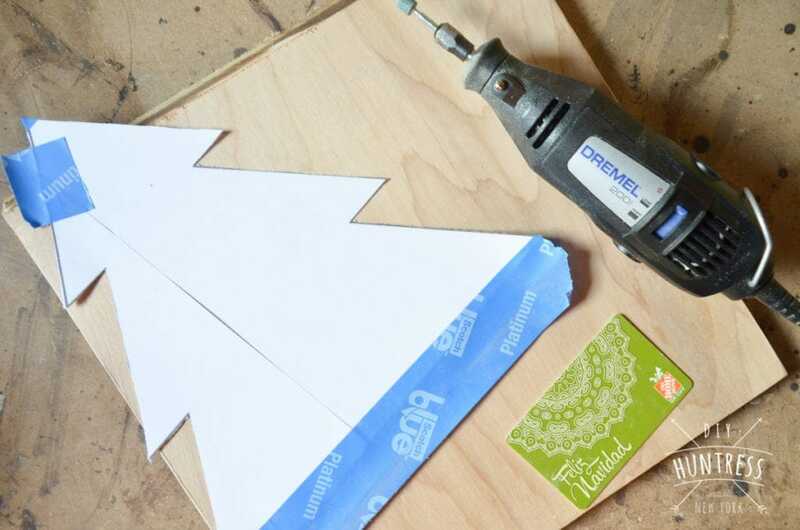 Add your gift card to the holder by attaching it with tape. 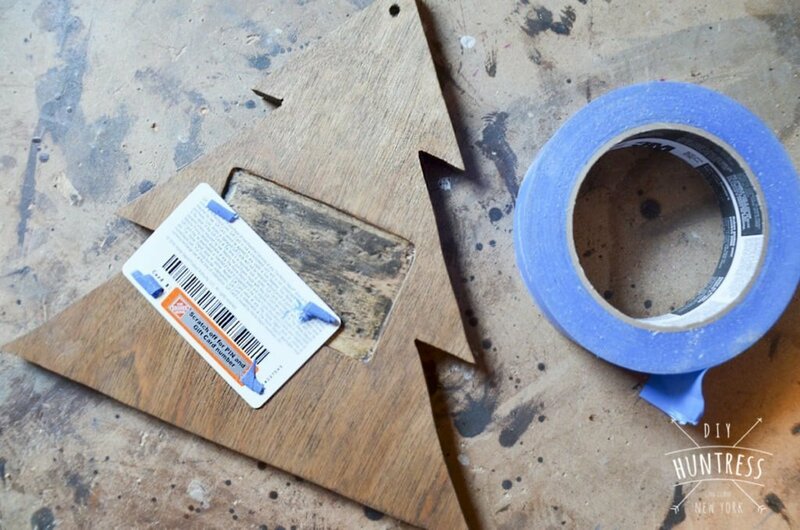 Once you tape it, it will lay flush with the front of the piece. 11. 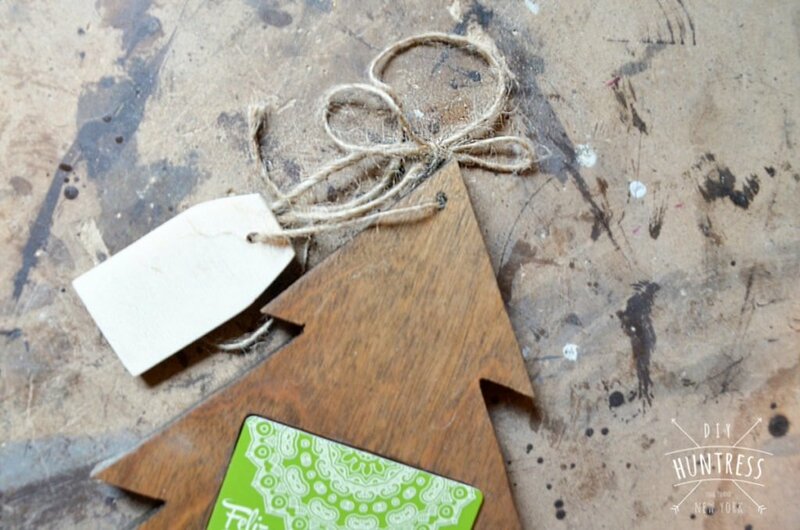 Thread your twine and add any gift tags. 11. Gift your gift card! All jokes about eggnog and holiday music aside, the holidays are a really special time. They’re a time for family, friends, and a reminder that a new year is around the corner! 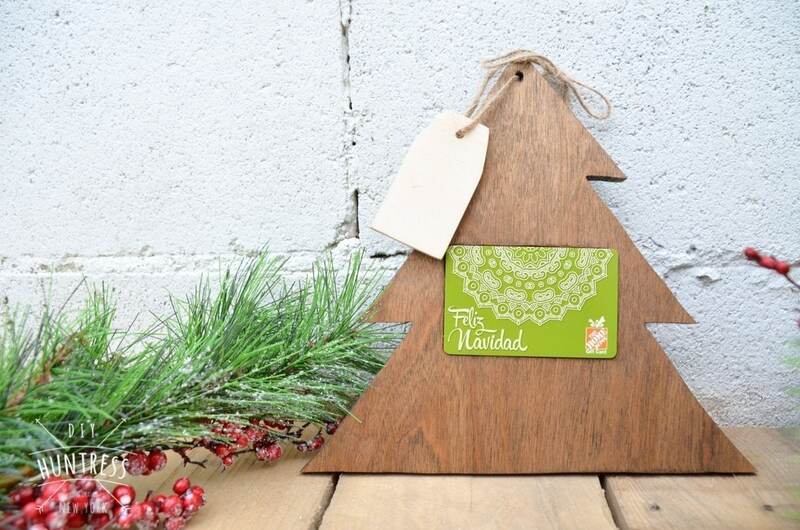 If you’re interested in creating this project, be sure to check out the Home Depot’s AMAZING selection of gift cards this holiday season! In fact, you don’t even have to leave your couch to order them! If physical gift giving isn’t for you, you can send your favorite person a virtual gift card as well! Pretty sweet deal. 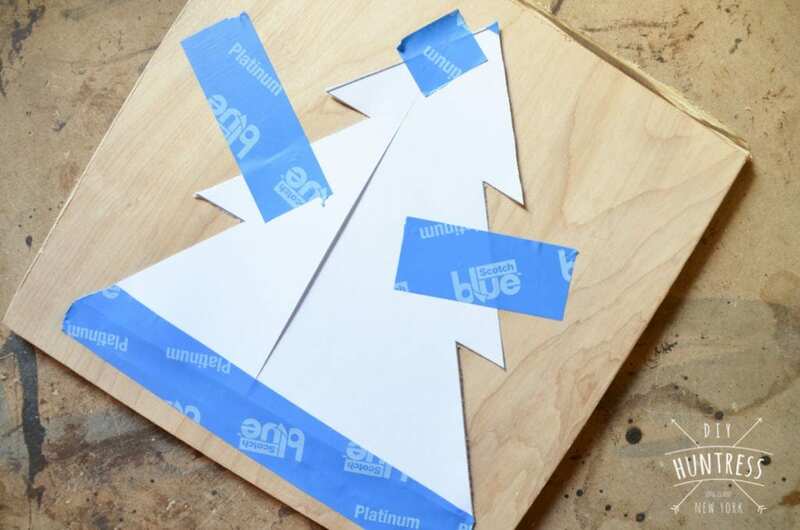 Want to see more creative gift card-giving ideas? Check out some awesome gift card holder ideas from my bloggers friends below! 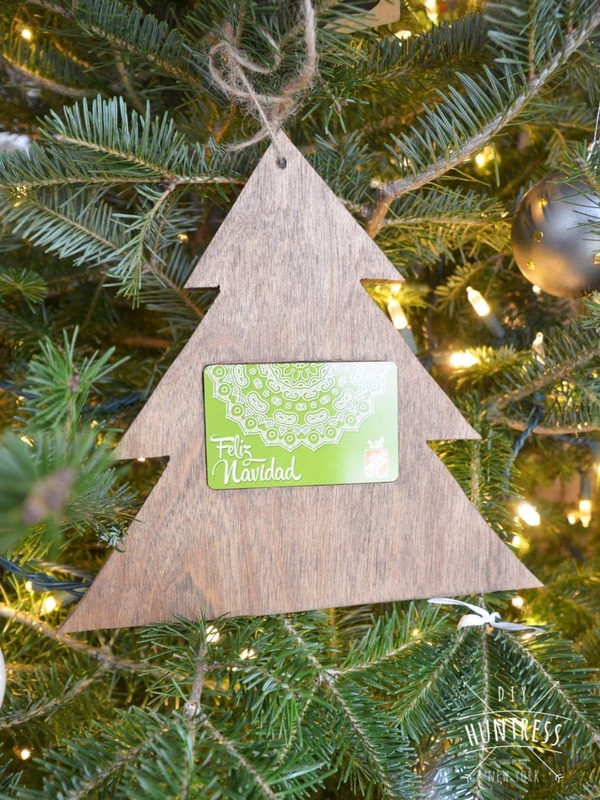 There is literally NO excuse to not get creative about giving gift cards to your loved ones now. Want to wait until next Christmas to try these out? No sweat! 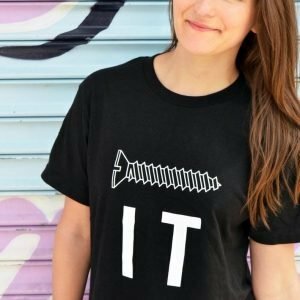 Just Pin It for later! In the meantime, I wish you all the happiest of holidays, no matter what it is you celebrate! I wish I would have seen these before the holidays. I am definitely going to look at making these for next year. 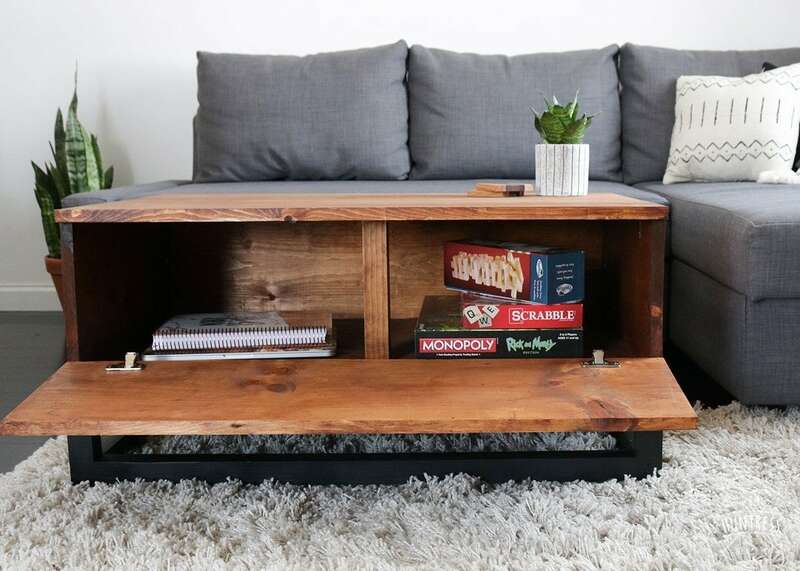 Great DIY project. I own a roofing company and was looking to give my guys something better than some gift cards. Thanks for this. Great information. Aw, I’m glad you liked this project! I’d love it if you saved it for next year! Happy New Year to you! This one is one of my favs!